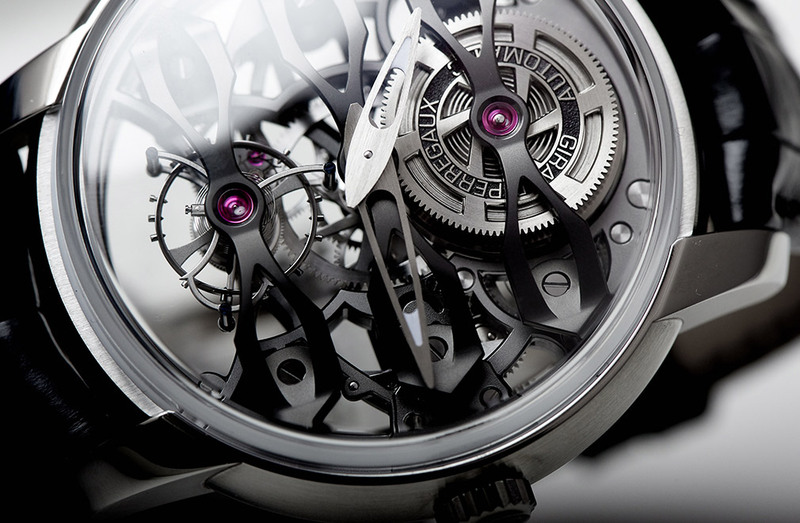 Throughout the years, Girard-Perregaux has given rise to genuine innovations from the Three Bridges of Constant Girard, to the iconic Constant Escapement L.M. The later enabled Girard-Perregaux to solve a problem that had been occupying the watchmaking world for over five centuries: that of constant force. The Girard-Perregaux master-watchmakers thereby demonstrated the kind of boundless creativity that enables them to continue enriching the company’s epic saga to this day. Because a watch must be as beautiful inside as it is on the outside, and because the tiny imperfections of machinery are detrimental to the smooth running of a mechanical movement, today – just as in 1791 – all components (around 600 for the most sophisticated watches) pass through the hands of experienced bevellers. Long months at the bench are required to accomplish these feats, even though they often remain concealed beneath the steel or gold of the case.